Aside from the President, our votes on Monday’s General Elections will also let us choose who the First Family of the country will be. They have no official duties, and have no personal remuneration, but their roles are still important. They sometimes participate in humanitarian and charitable work on behalf of the President. During official visits in our country, the First Family may also accompany the President in greeting the visiting diplomats. 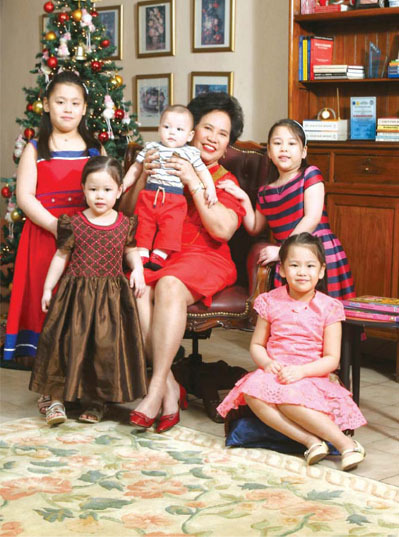 Now, let’s take a look at the families that could soon occupy Malacañang. 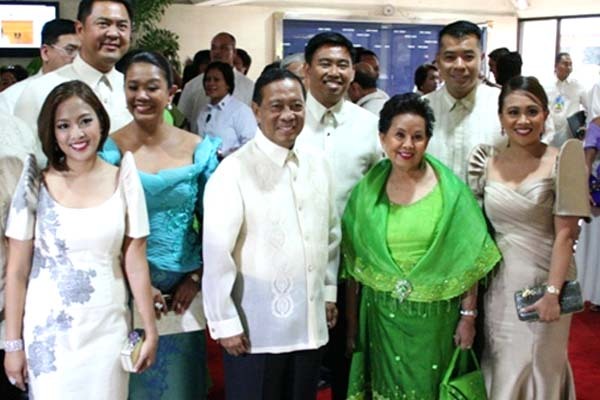 Jejomar "Jojo" Cabauatan Binay, Sr.
One of the most powerful families in the country, the Binays might have the most experience in public office among the other candidates’ families with only the youngest Joanna Marie having zero involvement in politics. 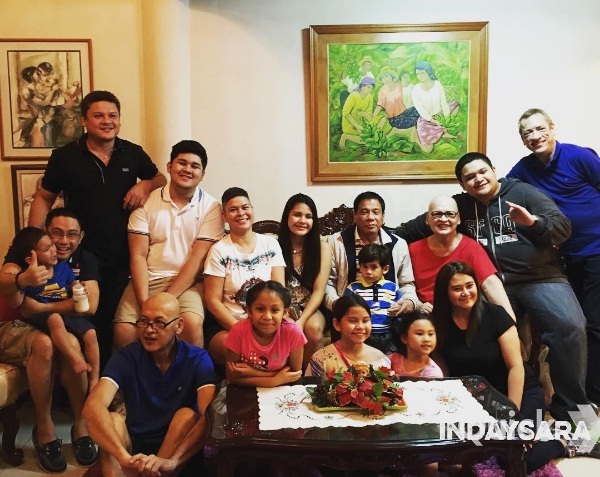 Another powerful clan, the Dutertes have been in power in Davao City for almost 28 years—more if you add Rodrigo’s father, Vicente, who reigned as governor back when Davao was still a province. Rodrigo’s first two children with Zimmerman followed him in politics, with Sara being mayor and Paolo being vice-mayor. There will be quite a problem regarding who will be the First Lady if Mayor Rody wins. In an interview with dzBB, he said that he would choose his daughter Sara as the First Lady so that things would be less complicated. He also said that if Zimmerman and Avancena would agree, they could both live at the Malacañang Palace. Aside from sneaker-lover Brian, the Poe-Llamanzares family is relatively unheard of in Philippine politics. Brian left his job as a correspondent for CNN Philippines and is now helping her mother in the campaign. Currently, the family is facing controversy about their dual Filipino-American citizenship. Grace has already stated that her husband has already renounced his American citizenship. However, she said that she would not force her kids to do the same. 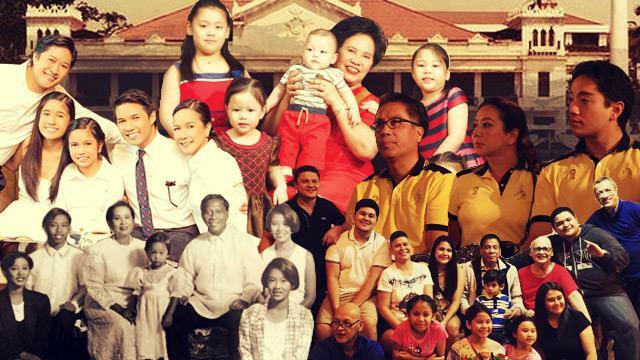 Married for almost five years, Mar and Korina has become one of the most well-known power couples in the country, with Mar’s family coming from a long list of politicians and Korina being a veteran news anchor for ABS-CBN. The fiery stateswoman has been married to former Local Government undersecretary Narciso for almost 45 years. They have two sons, Narciso III and Alexander, who unfortunately committed suicide back in 2003. In 1996, the Santiago couple adopted twins Megan and Molly. They also have five grandkids.